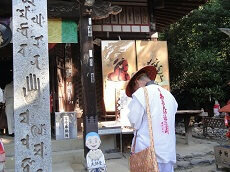 Ryozen-ji Temple is a temple in Naruto, Tokushima that is designated as Temple 1 in the Shikoku 88 Temple Pilgrimage. 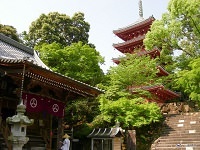 While this is the first of the 88, the temple itself had been rebuilt due to fires after it's original construction. Although the 88 Temple Pilgrimage doesn't require to be done in numerical order, there is a recent trend of visitors returning to Ryozen-ji at the end of their journey. 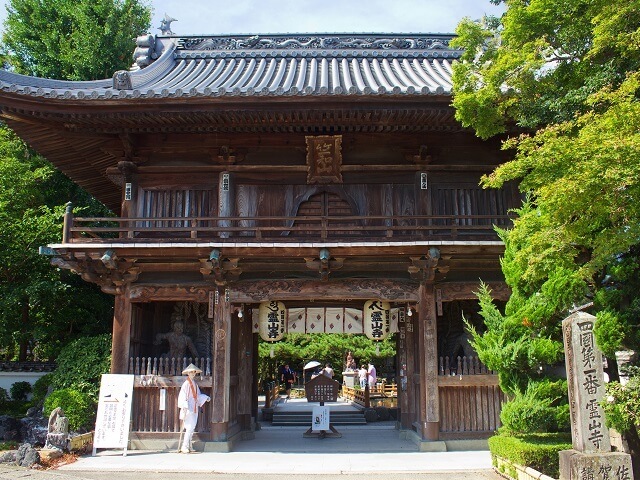 There are also another four or five temples on the pilgrimage that are walking distance from Ryozen-ji if someone wanted just a small sample of the journey. The name Ryozen comes from the vision Kobo Daishi had of the historical Buddha Sakyamuni (Shaka Nyorai) preaching on Vulture Peak in India. 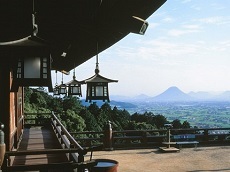 The name Ryozen-ji translates as Vulture Peak Temple. 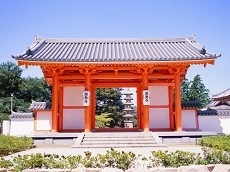 Enjoy the first temple of 88 after your Japan tour through Southern Japan!